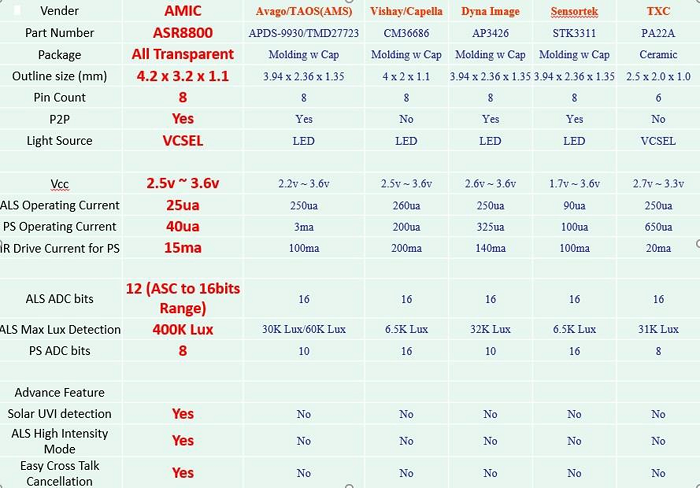 Amic Technology announces release of a new product line offering state-of-art, intelligent sensor controllers for the detection of Light and/or proximity. These products are designed to meet the requirements of the display panel, solar UV index detection, presence detection, lighting management, cell phone, and surveillance camera markets. High functionality integration in a single chip offering low cost and easy system migration. Very low power consumption (average 25uA) for ALS. 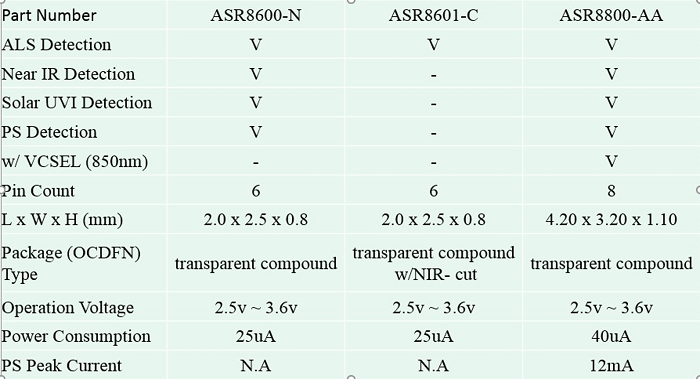 Infra-red VCSEL (850nm) for ultra low crosstalk noise and low power consumption (12mA for drive current. Wide dynamic sensing range from 0,0001 Lux to 120K Lux. Temperature compensation : -40 +85. Full integrated design, No additional periherall circuitry is required. Ideal for surveillance camera applications.